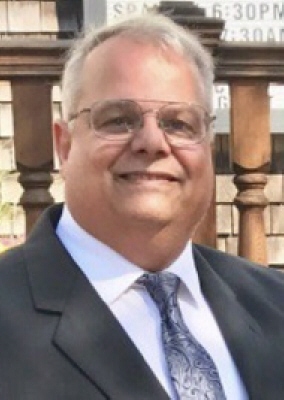 Rowley, formerly of Danvers - Peter D. Barbaro, 57, beloved husband of Jill (Paglia) Barbaro, died peacefully surrounded by family on Sunday, August 26, 2018 at the Kaplan Family Hospice House in Danvers, following a courageous battle with cancer. Born and raised in Danvers, he was the son of the late Donald and Ines (Santomango) Barbaro. He received his education in the Danvers school system and graduated from Danvers High School, class of 1978. He continued his education and earned a degree in pharmacy from Massachusetts College of Pharmacy. Mr. Barbaro practiced as a pharmacist for over 30 years. For the past 25 years, he worked as a pharmacist at Costco Wholesale in Danvers where he was known for going above and beyond for both his customers and staff. An avid Boston sports fan, Peter enjoyed the Patriots and was a season ticket holder for many years. Throughout his life, he enjoyed following horse racing at the track with his good friend Nick where they were both proud owners of a race horse they named Bustoff. In his free time Peter also enjoyed investing in the stock market. He loved traveling, especially to Las Vegas where he spent many hours in the sports book. Peter was happiest during family and friend get-togethers. He was known for his incredible wisdom and story-telling, his humor and laugh, his strength, and his unwavering dedication to his family and friends. He made the most of each day and lived his life to the fullest. Most of all, he was a loving husband, father, brother, uncle and friend who will be missed by all who knew him. He leaves behind an incredible legacy that will live on in the hearts of everyone he knew. In addition to his wife, he is survived by his daughter, Emily Barbaro of Rowley, a sister, Anne Hogan and her husband, Brian of Danvers, two brothers, John Barbaro and his wife, Cathy of Sebago, ME, Paul Barbaro and his wife, Randa of Peabody and his brother-in-law Fred Paglia and his wife, Renee of Chicago, IL and nieces and nephews, Matthew and Andrew Hogan, Christopher, Jennifer, Lisa and Kristen Barbaro, Daphne, Audrey & Abigail Paglia. The family would like to thank the nurses and doctors of 7 West in Lahey Burlington for their dedication and compassionate care that he received. His funeral Mass will be celebrated at St. Richard’s Church, 90 Forest St., Danvers, Friday, August 31, 2018 at 11:00 a.m. Relatives and friends are invited to attend. Visiting hours at the Campbell Funeral Home, 525 Cabot Street, Beverly, Thursday from 4 to 7 p.m. Burial in the Annunciation Cemetery, Danvers. In lieu of flowers, contributions may be made in his memory to the Leukemia & Lymphoma Society (https://donate.lls.org/lls/donate), PO Box 98018, Washington DC 20090. Information, directions, condolences at www.campbellfuneral.com. To send flowers or a remembrance gift to the family of Peter D. Barbaro, please visit our Tribute Store. "Email Address" would like to share the life celebration of Peter D. Barbaro. Click on the "link" to go to share a favorite memory or leave a condolence message for the family.